Mr Ralph Marsden of 36 North Crescent, Duckmanton was 41 years of age. He was a married man with two children, aged 12 and three months. He was born at Derby Road, Chesterfield, from where he went to live at Bolsover. He had lived at Duckmanton about eight years. For ten years he had worked at Markham Colliery and before that he was employed at Bolsover Colliery. 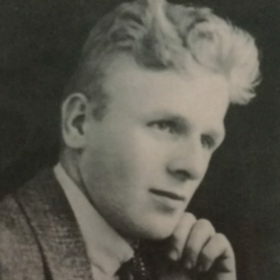 He was president of the Markham branch of the Mineworkers Federation of Great Britain and had been reinstated as president the day before the accident. He served during the Great War in the Royal Garrison. He had been married for sixteen years. He was on the committee of the Duckmanton Children’s Outing Fund. The funeral was at Duckmanton on Tuesday, the Rev. G. W. Ready (Rector) officiating. 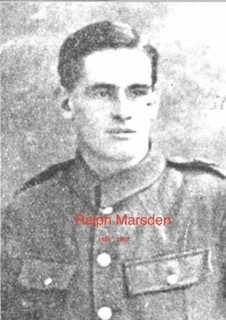 Ralph Marsden had worked at Markham for about eight years. He had only been back at work since the previous November after being off work for seven months with a broken leg. Ralph was seriously injured and taken to Chesterfield where he died soon after. Ralph was married and lived with his wife and children, Peggy aged 12 years and Jean aged 3 months, at 36, North Crescent, Duckmanton. In the First World War he served with the Royal Garrison. Ralph died aged 41 years old and was buried at Duckmanton.